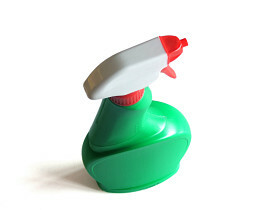 Poison control experts say they field more calls about bleach exposure than any other chemical. The dangers are compounded when combined with some other chemicals. However, bleach alone is generally safe at standard household concentrations, even if it causes some worrisome symptoms. Alternative antibacterial cleaners are available, though they may be less effective than bleach, and the alternatives also pose problems. Here's an expert opinion. How Safe are Bleach Products? Amy Hanoian-Fontana is the community education specialist at the Connecticut Poison Control Center, part of the University of Connecticut Health Center. She said her office receives many calls about bleach exposure leading to irritation and burning in the eyes, mouth, lungs and skin. “These are stronger and merit more caution, but can still be used safely,” she said. “Symptoms may include feeling an immediate burning sensation in the nose, eyes, or mouth, and coughing, dizziness, or shortness of breath,” said Hanoian-Fontana. “Get to fresh air right away. This will relieve symptoms,” Hanoian-Fontana said. She added that the problem is not just mixing toxic concoctions. It may also be the use of bleach on top of acid cleaners, or vice versa. People may wipe down a counter with vinegar, then follow with a bleach wipe if the counter’s not clean enough. Likewise, commercial “bleach wipes” may actually contain ammonia instead of bleach, and it can be dangerous to add bleach to these containers. • The Centers for Disease Control warns against relying on ammonia, baking soda, vinegar, or Borax. None of these products is registered as a disinfectant with the Environmental Protection Agency, and they are all ineffective against Staphylococcus aureus, a bacteria that is the most common cause of staph infections. Borax, baking soda and standard detergents also won’t kill salmonella or E. coli. On the other hand, vinegar and undiluted ammonia kill both salmonella and E. coli. • Hydrogen peroxide can cause severe burns at high enough concentrations to be an effective disinfectant. • Quaternary ammonium compounds, or quats, are a less widely available option. Though quats are generally safe, some products may contain toxic ingredients. The Labour Environmental Alliance Society in Canada recommends Enviro Care disinfectants, which contain quats, are very effective and have no known toxic ingredients. Bleach may be the most effective cleaner in many homes, even though bleach poses some health threats and environmental concerns. If you fear poisoning from bleach or any other cause, call 1-800-222-1222 for poison control help 24 hours a day.